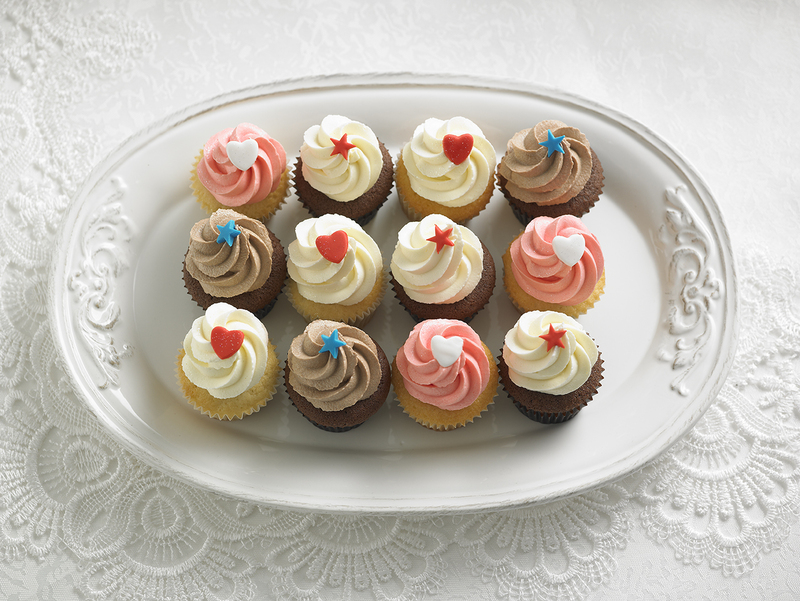 Our petite cupcakes range are perfect for celebrations of any kind. Soft moist cakes with delicious silky smooth buttercream will tantalise your taste buds.Our Petite range of cupcakes are perfect for Birthdays, Weddings, Christenings or any large event. No need for any plates or cutlery. We can also customise our petite cupcakes as well, perfect if you are having a theme. Call us on 1300 769 385 to discuss your event needs.